Menstruation is a shared experience among all females. The average age for a girl to get her first period in the US is 12, but the range of age is about 8 to 15 years old. Women usually have periods until about ages 45 to 55. Females everywhere understand what it is like to get their first period, and most females experience similar symptoms. Beside the bleeding, other signs and symptoms of menstruation may include headache, acne, bloating, pains in the low abdomen, tiredness, mood changes, food cravings, breast soreness, and diarrhea. Yet this universal female experience—menstruation—is a widely stigmatized issue. It is a topic that people are usually uncomfortable talking about, and it is typically a topic that is only discussed behind closed doors. This is because cultures all over the world have developed detrimental concepts and beliefs about menstruation. The stigma that surrounds menstruation needs to seriously be debunked. Menstruation is an incredibly helpful process. Women are very observant when it comes to their body, and the menstrual blood’s color, duration, and odor can offer hints of your medical condition. Some women experience having heavy menstrual flow or having no period at all for a long time which indicates that there is something wrong with your body, helping you be aware of such changes. Your cycle stops when you have a heart disease, diabetes, or other reproductive health related problems. Being a woman helps you become more conscious of your health. Having a period is also a cleanser for the female body, and although you may not enjoy the cramps at first by the end of your period cycle there is a certain glow to you. Your mood is positive, there is a jump in your step. Through increasing education, promoting female empowerment, providing expanded resources, and encouraging candid conversations surrounding women’s health, menstruation may one day no longer be a taboo but will be celebrated for the natural experience that it is. Davis, Dr. Charles Patrick. “Menstrual Period Definition, Symptoms, and Pain Relief.” MedicineNet, 12 Dec. 2018, www.medicinenet.com/menstruation/article.htm. GOLDSTEIN , JOELLE. 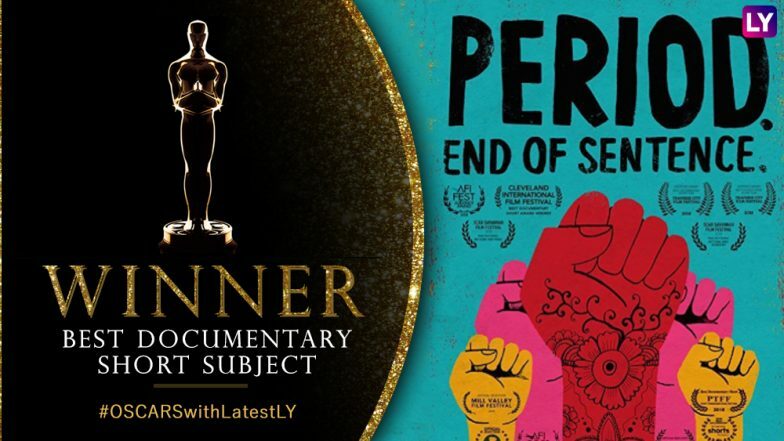 “Documentary About Menstruation Wins Oscar: 'I'm Not Crying Because I'm on My Period'.” PEOPLE.com, Time Inc, 24 Feb. 2019, people.com/movies/oscars-2019-menstruation-documentary-wins-oscar-not-crying-period/. Janelle, Teya. “The 5 Most Essential Benefits Of Your Period.” Anigan, 19 Jan. 2017, www.anigan.com/blogs/blog-posts/most-essential-benefits-of-your-period. Litman, Jill. “Menstruation Stigma Must Stop. Period.” The Public Health Advocate, The Public Health Advocate, 8 June 2018, pha.berkeley.edu/2018/06/05/menstruation-stigma-must-stop-period/.